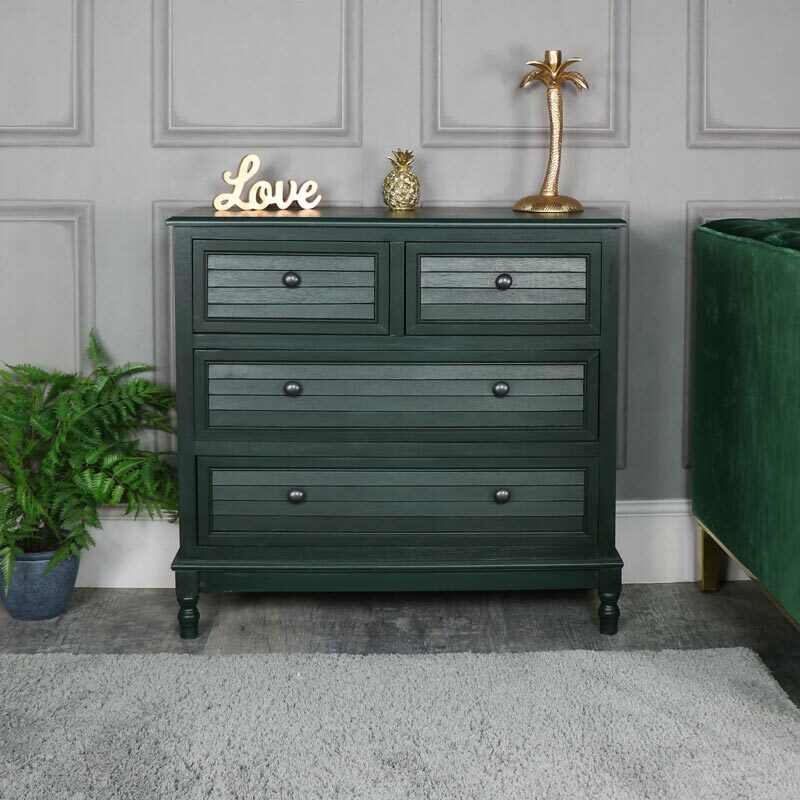 This is our stunning Verde Range chest of drawers. 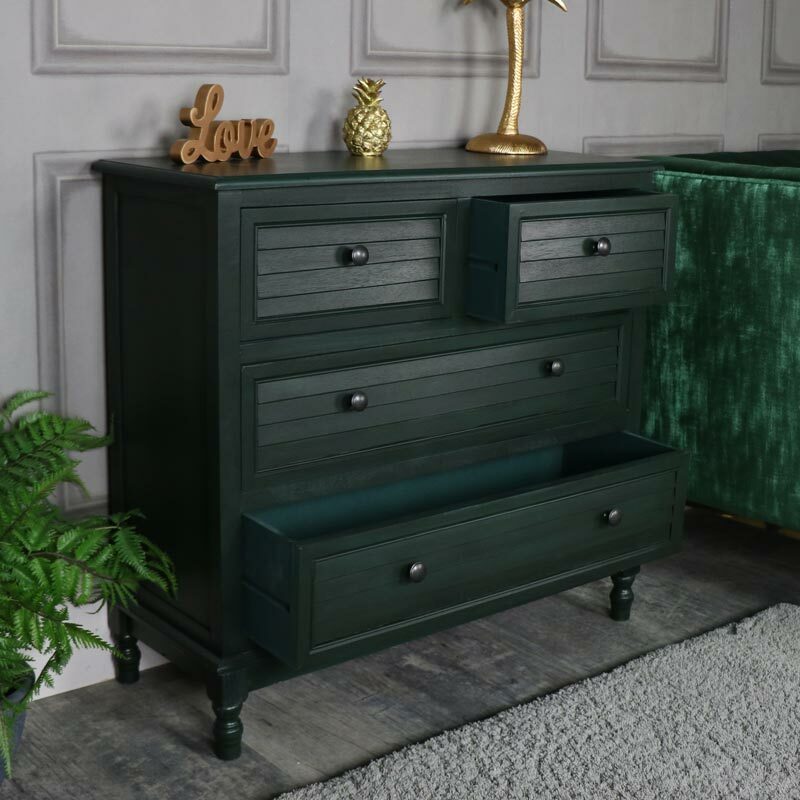 Simply gorgeous in a deep teal, green colour that adds a rustic look and creates instant appeal and makes a great storage solution for your bedroom. A sturdy chest of drawers in a 2 over 2 design that offers plenty of storage for your clothing requirements. 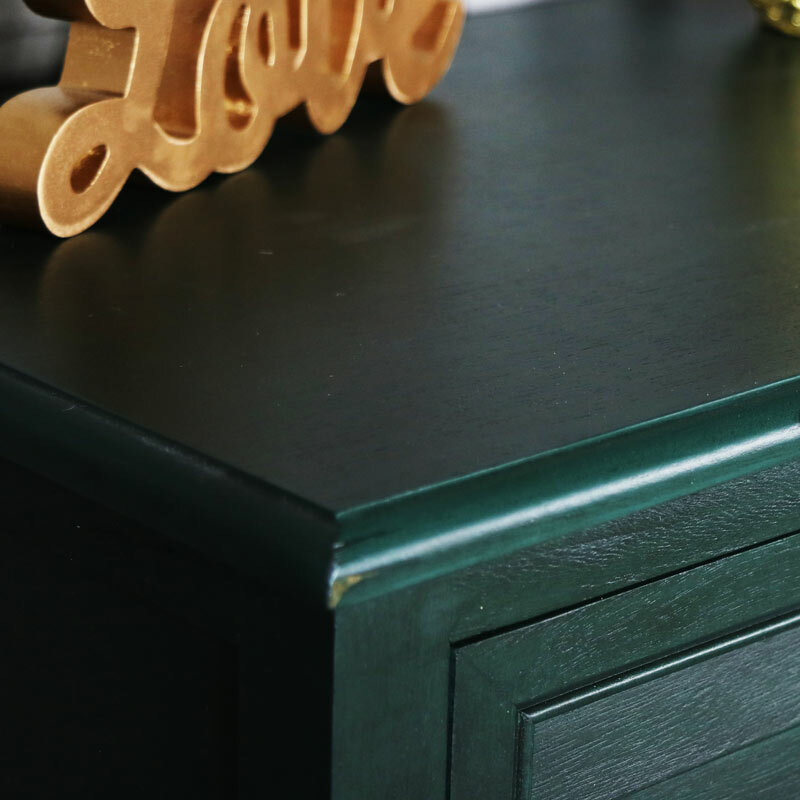 This chest of drawers adds elegance and style in a colour that makes a refreshing alternative to the classic white and creams. 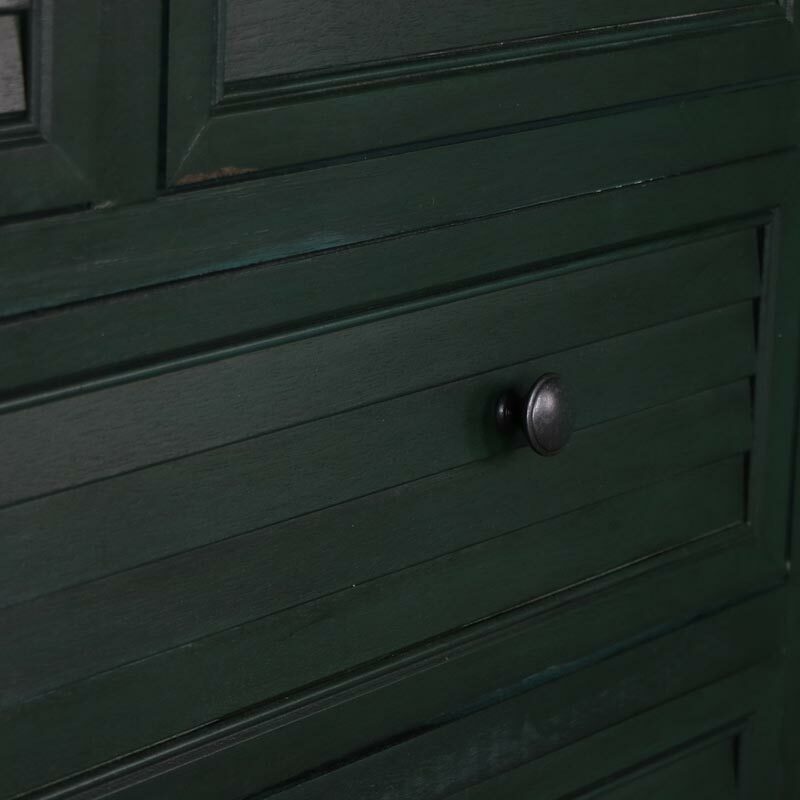 The drawer fronts feature a louvre design and each is fronted with a round brass drawer knob. This furniture is built to stand the test of time and is both practical and stylish. Made from wood and painted in a deep green colour. The chest of drawers comes fully assembled so all you need to do is unbox and positioned where needed. The overall measurements are 80cm x 75cm x 32cm (width x height x depth) with the 2 top drawers measuring 32.5cm x 15.5cm x 23cm (width x height x depth) and the 2 larger, bottom drawers measuring 68.5cm x 15.5cm x 23.5cm (width x height x depth). We have a couple of other pieces available in the Verde Range. 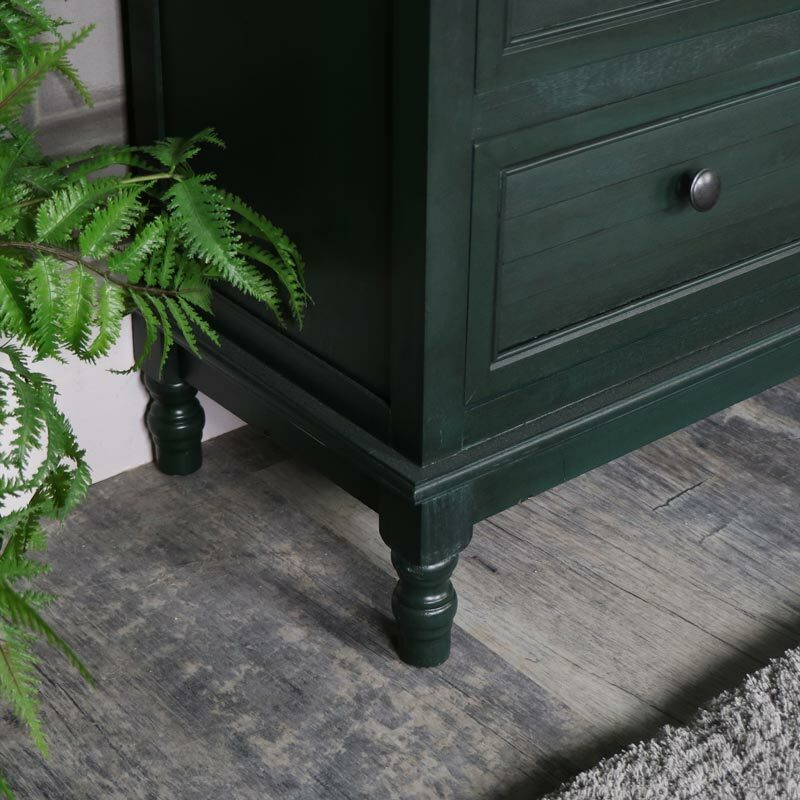 Perfect for creating a bedroom décor with a difference and adding a rustic, country warmth that will make your house a home. Measurements (other): Top drawers: 32.5cm x 15.5cm x 23cm (width x height x depth) - Bottom drawers: 68.5cm x 15.5cm x 23.5cm (width x height x depth).